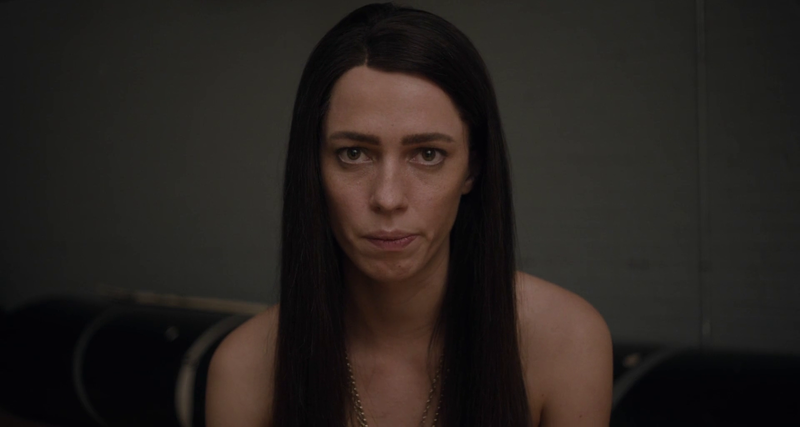 In what could be considered Rebecca Hall’s best performance out of many amazing ones, Christine is a character study detailing tragedy in a manner more intimate and consequentially harrowing than most biopics about women tend to be. This article contains spoilers. I must admit that I knew nothing about Christine Chubbuck before watching this film, and I probably should have done a cursory google about this subject matter before tackling something so upsetting. It’s a story about a deeply troubled woman, but even such descriptors feel inadequate in the wake of the film’s series of events. That’s how much Christine the character stood out onscreen. I don’t want to call her ‘enigmatic’ and possibly downplay the fact that she was indeed suffering. Mental illness is not some quirky feature in a person that makes them ‘interesting’. What makes Christine stand out to me amongst countless MI pictures churned out by Hollywood yearly is that it is spiritually dreadful. Of course, had I known about the real-life event that this film was based on, it would have probably been even more palpable. But there is a strong sense of something being amiss throughout. Without using so many words, there is evidence of various cries for help. There’s a desire to form close bonds and relationships with people, but there is also repression that causes unsavoury reactions. It is eerily relatable and unrelentingly sad by its final half hour. Rebecca Hall quietly and considerately navigates Christine’s final days. Furthermore, she somehow manages to expand on such a short time frame, fleshing out the character with specific inflexions; longing, surreptitious looks or lips pressed firmly together. She exudes discomfort at the very least and outright pain and misery at her most. But she also has goals and desires, and her perfectionism hits close to home for me. She’s fully-formed, if abrasive and brusque, and it’s mesmerising before it’s tragic. The impeccable cinematography and production design are what keeps the film light-hearted enough to sustain the two-hour picture. The editing is snappy and bouncy in certain scenes, supplementing Christine’s quick wit with matching visuals. It seems to allow a desperate soul and personality to manifest where the character felt she had to be the most protective. Christine constantly fights with herself over saying too much and not enough, and that frenetic energy weaves itself into the narrative by visual cues. She is the most vulnerable when her back is to the camera and objects within her vicinity tell the story for her. It always seems to be Hollywood’s mission to tackle mental illness, and in recent years, women’s issues. They tend to intersect in ways that could be read as exploitative, and for good reason – there are plenty of stories out there that are solely created for those who are able to distance themselves from mental illness. To an extent, Christine joins such ranks – it’s impossible to subtract such a movie from its predecessors thanks to any audience member’s preconceived notions about mental health. But as a character study, the film works extraordinarily well. I don’t find it to glorify what happened to Christine, nor does it idealise her experience into something that’s to be sought after. It isn’t glossy, and it definitely isn’t sentimental. Instead, it strikes a surprisingly humane balance in order to create a fleshed-out, if flawed, woman.